Producing etched foil heater elements is a challenge for most of the industries. 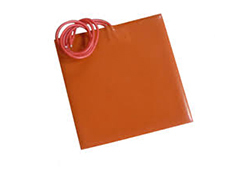 Though it’s challenging, Chhaperia has made a go in releasing the required and most demanding heating elements. Slowly, the company began to manufacture etched foil heater elements as well. The continuous efforts in manufacturing the products have risen the standards of Chhaperia. Another aspect of Chhaperia to rise to world-class is the quality in every heating element. To achieve the wattage and resistance of flexible wound-wire heaters, foil heaters need wider elements. The tight spacing of elements in the foil heaters ensures even heat distribution. A wide variety of termination types. The element pattern is arranged with photolithography. Foil heaters are very thin, so they fit in tight spaces. Especially, they wrap around complex shapes and tight corners. The huge applications of etched foil heater elements have driven the industries to manufacture a number of elements. However, Chhaperia delivers the right product for your use.